Being frugal means taking advantage of those free events and attractions a town or city has to offer. 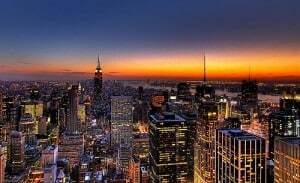 NYC though an expensive and huge metropolis has lots of activities in the month of June to take part in for free. An interactive experience where a person can learn to appreciate why we respond to music the way we do. This concert is a coming together of different genres and cultures to encourage an appreciation for the arts and the various artist who create such music. This is something the whole family can do together. While not always free, New York City Museums do host days when free Admission if available. Just contact the museum of interest to find out when they are hosting a free admissions day. Take advantage of Monday night in Bryant Park. On a large screen, different movies are shown each Monday between 8 and 9 p.m. Make it a family event and pack a supper. Bring a blanket and picnic upon it. Arrive early to get a good spot about 5 p.m. when the area opens up. You can call 212-512-5700 for more information regarding the movies being shown and other questions. Every Friday at 12:30 enjoy a two hour walk through Grand Central and the surrounding neighborhood. Learn about it’s history and enjoy seeing the Grand Central Terminal and other fun locations. Put your best walking shoes on. Not for young children unless they enjoy walking, they could tire out easily. Every first Saturday of the month enjoy a free time at the Brooklyn Museum of Arts. Listen to talks from the curators, enjoy the musical performances. If you plan on eating though, you’ll have to pay for that and drinks. The visit to the museum itself is free. It can be expensive going to children’s museums as most charge an admissions fee for each family member, but if you take advantage of the free days, you can go and visit several museums at no cost or the cost of a donation. 1. Brooklyn’s Children’s Museum, arrive early on the second weekend of the month and enjoy free admissions into this museum. Be there before 11:00 a.m. to enjoy this free visit. Remember the cost of running museums and if it is possible either eat there or make a donations, so others can enjoy the same opportunities of free admission. 2. Children’s Museum of Manhatten, open the first Friday of every month from 5-8 p.m. with free admission as a part of Target Free Fridays. Your kids will enjoy the interactive activities here and you’ll enjoy watching and spending time with you children. When money is tight, it’s always good to call up attractions and places of interest and see what they have to offer to the public for free. There is no reason a family or kids should sit around at home when there are free and fun activities to do, even in NYC.